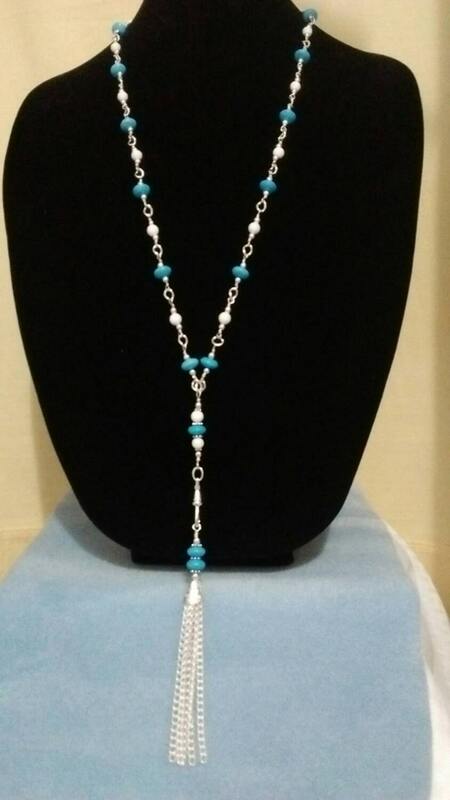 Lanyard becomes a beautiful long tassel necklace with detachable tassel. Great for healthcare professionals, security personnel, conventions, etc, anywhere you need to wear I.D. Lanyards are made using semi-precious gemstones, freshwater pearls or shell beads. Including clip lanyard is 34". 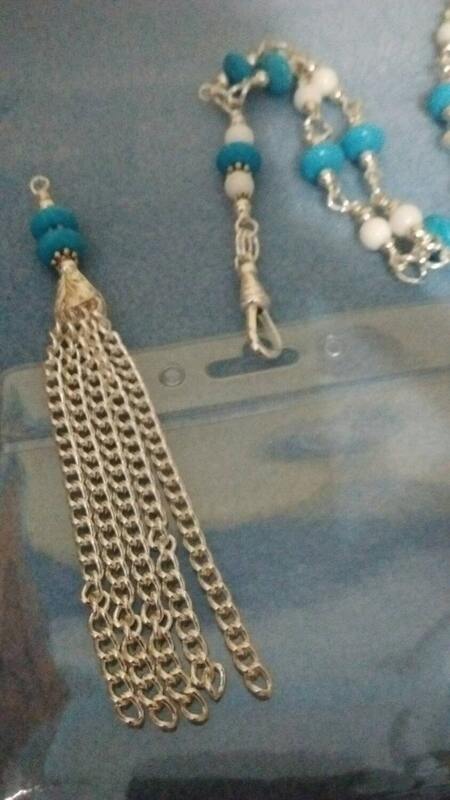 Tassel is an additional 4 1/2"
***If you need a different length, please let me know in the comments at check out. 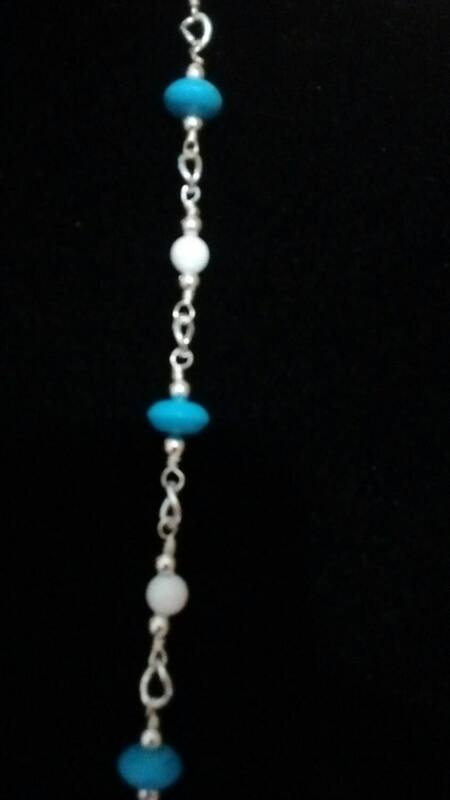 Included are 10mm blue Turquoise Rondelles and 6mm round white Turquoise. ***This lanyard does not have a clasp, however, if you would like a breakaway clasp or lobster clasp with 2" extension please choose in the field above. ***If claspless or a breakaway clasp is selected the lanyard will be 34" long. If you would like a different length please let me know in the comments when you order the lanyard. 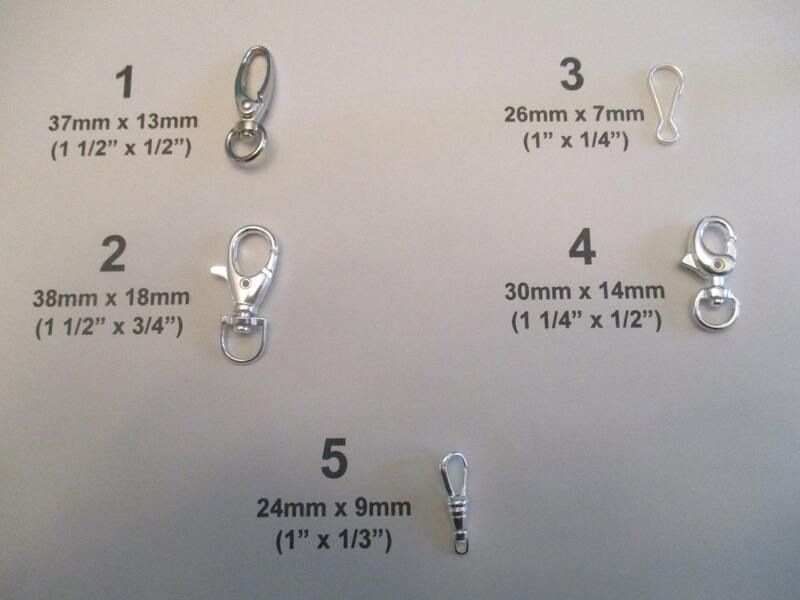 ***Also, please choose the lanyard clip you would like. Choices are shown in the last picture. Included with each lanyard is a clear plastic ID holder.